Nina’s expertise in the area of behaviour stems from her experience of working in special schools to challenging inner-city environments. Every learner is entitled to wide and varied learning experience meeting their individual needs regardless of their learning and living differences. Getting this right is a priority for every single teacher. From special educational needs to gifted and talented as well as learners with English as an additional language, Nina’s knowledge and expertise in the area of ALN has been celebrated on an international level. The need to deliver an engaging and thought provoking curriculum for all learners must be designed with creativity and innovation in mind. Nina has all the tools to get you thinking in a creative way of how to implement this in all your classrooms. If your students, teachers and school community is not a happy and emotionally well environment then effective teaching and learning does not take place. Nina’s personal and professional experience in this area will totally transform the tabooist of subjects in to an open and honest philosophy for individual development in your school. Lead by example, work with your staff – embrace their individualities and experiences and these are just two examples of the mantras that Nina works with in her sessions on leadership and middle management. Developing thinking skills and effective questioning in your teaching practice are one of the key foundations to enabling learners to understand their own processes of learning. Nina’s unique and innovative ways of developing these skills will advance your own thinking. Marrying the thinking brain with the digital brain is a unique relationship to ensure that our 21C learners gain the skills, knowledge and experience required to engage in modern learning. Such is Nina’s brilliance in this area, this is one of the most popular types of work that Nina undertakes. Learning through play is essential for all learners regardless of their age. This is not just for our EYFS and Primary children but allowing our older students to understand that discovery and experimentation, which are key elements of learning through play, can be embedded in all phases of education. This is an area that Nina is particularly passionate about. In 1992, Nina Jackson began her vast career as an exciting new teacher in Hampshire. In her PGCE year, she was spotted as one of the new generation of innovative teachers and was appointed as a head of the music department in a challenging school while still an NQT. She was a lead contributor in a BBC documentary called Kids Behaving Badly where her skills for engaging and inspiring disaffected learners were hailed as “pure magic”. 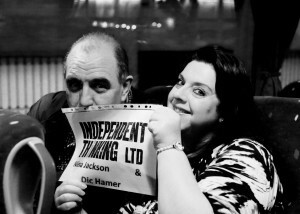 She quickly gained recognition in the education world and was the first woman to join Independent Thinking Ltd with Ian Gilbert in 1999, where she has trained, inspired and motivated teachers to “be the best that they can be” and uses Independent Thinking’s motto of ‘Do things no one does or do things everyone does in a way no one does’, as her philosophy for educational change. 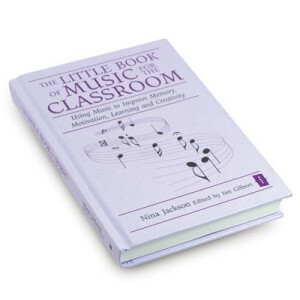 Her academic research into the affects of music on the brain, based on Sound Waves Make Brain Waves gained her an M.A (Ed) and her work has since been published in ‘The Little Book of Music for the Classroom’. 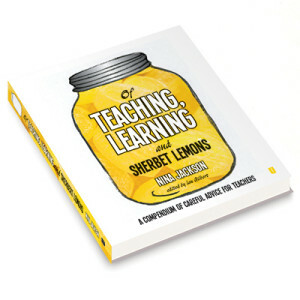 She is also a major contributor of ‘The Big Book of Independent Thinking’, ‘Don’t Change the Lightbulbs’, and her new book ‘Of Teaching, Learning & Sherbet Lemons – a compendium of careful advice for teachers‘ is out soon. In her continued quest for outstanding learning and teaching, Nina takes responsibility for her own professional development by seeking new and brilliant ways of making Learning and Teaching relevant, appropriate and accessible for all – teachers and pupils alike. She believes that every educator should take responsibility for their own learning and her philosophy for continued growth in education has been her foundation for continued professional development. Winner of the IPDA International Prize for Education and described by the TES as an ‘inspirational, evangelical preacher of education’, Nina is a tour-de-force when it comes to enlivening teaching and learning for all. Her background as an innovative teacher and leader of learning, trainer and education consultant has had an overwhelming impact on education both in the UK and on an international basis. She has worked with the Ministry of Education, UNESCO and UNICEF in Chile, Ghana, India, and the Middle East. Nina is one of the happiest, effervescent personalities in education today and puts her own learning, and the learning of others at the heart of everything she believes in. With a heritage of superb teaching and learning, an associate director of the internationally acclaimed Independent Thinking and best-selling author; Nina Jackson is an educational force to be reckoned with. A firm favourite on courses and INSET with Dragonfly Training too, Nina offers courses across a broad field ranging from all aspects of teaching and learning to creativity in the classroom, emotional aspects of learning, music in the classroom and effective and purposeful use of technology, particularly mobile devices. Visit the contact page to get in touch and book Nina for your training needs.